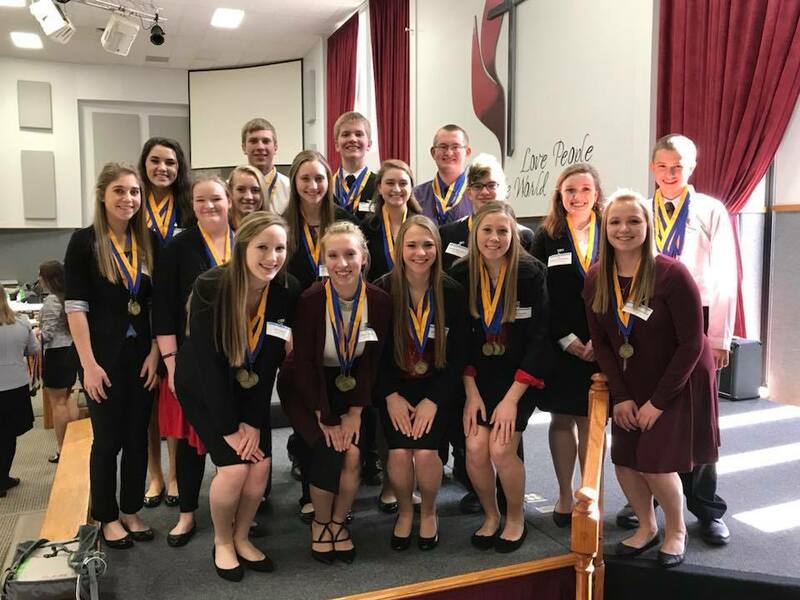 On Friday, February 16, seventeen of Salisbury's FBLA members traveled to Chillicothe, MO to attend the District 19 FBLA Conference. The conference is held for members who wish to compete in presentation events, and to award those who placed in the top five in the district. Salisbury had 24 members compete in a variety of events ranging from individual tests to team presentations. Of those 24 members, 21 received a top 5 medal at Districts. Members are allowed to compete in up to three events at the conference, so most members walked away with multiple medals. Salisbury's chapter placed in 25 events.